MTTC Course | Pauenhof e.V. Christopher Titmuss ist ehemaliger Mönch und einer der erfahrensten westlichen Dharmalehrer. Seine Lehren betonen innere Freiheit, tiefe Meditationserfahrung und Selbsterforschung. Christopher ist Autor zahlreicher Bücher und Mitbegründer des buddhistischen Meditationszentrums Gaia-House in England. Er lebt in der Nähe seiner Tochter und Enkelkinder in Totnes in England. 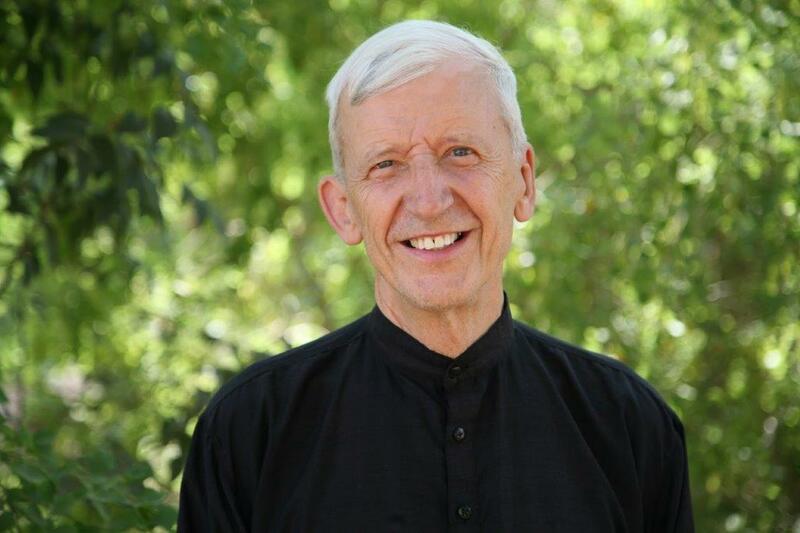 Christopher Titmuss, a senior Dharma teacher in the West, offers retreats, facilitates pilgrimages and leads Dharma Gatherings worldwide. 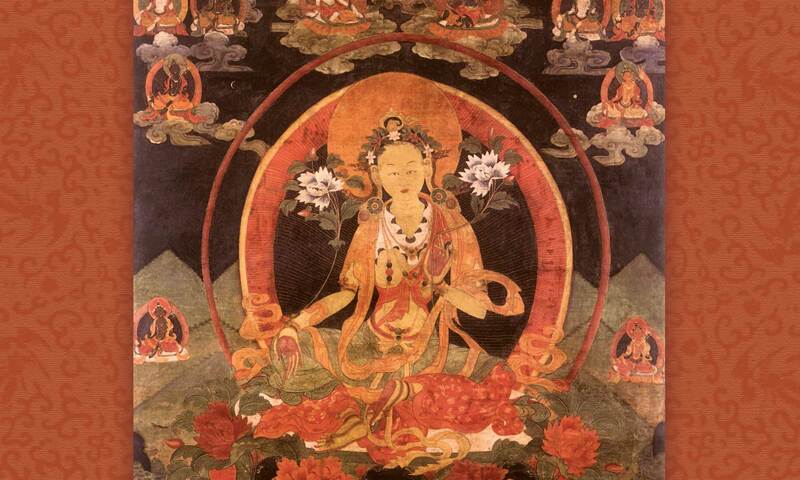 His teachings focus on insight meditation (vipassana), the expansive heart and enquiry into emptiness and liberation. A former Buddhist monk in Thailand and India, he is the founder of the online Mindfulness Training Course. He teaches in Australia, India, Israel, France and Germany every year. 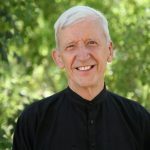 Christopher has been teaching annual retreats in India since 1975 and offered annual daylong workshops in Palestine since 1992. He has lived in Totnes, Devon, England since 1982. 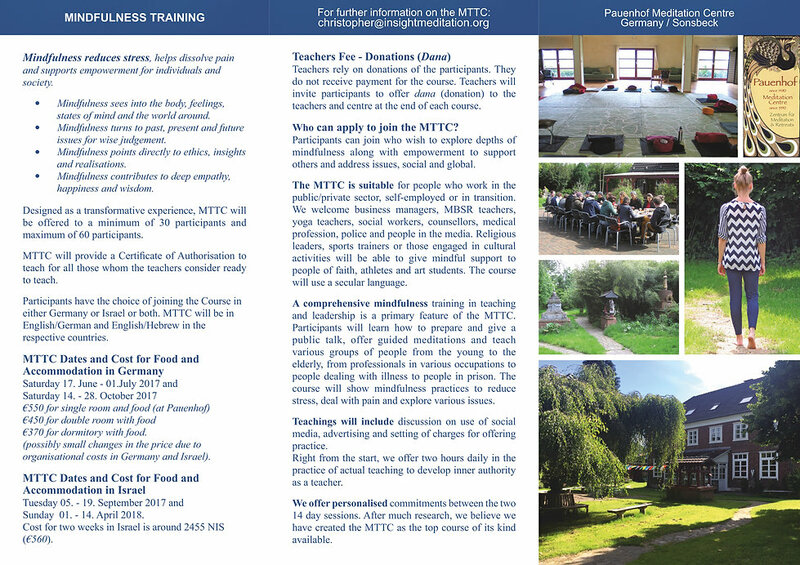 Do you want to train as a Mindfulness Teacher? 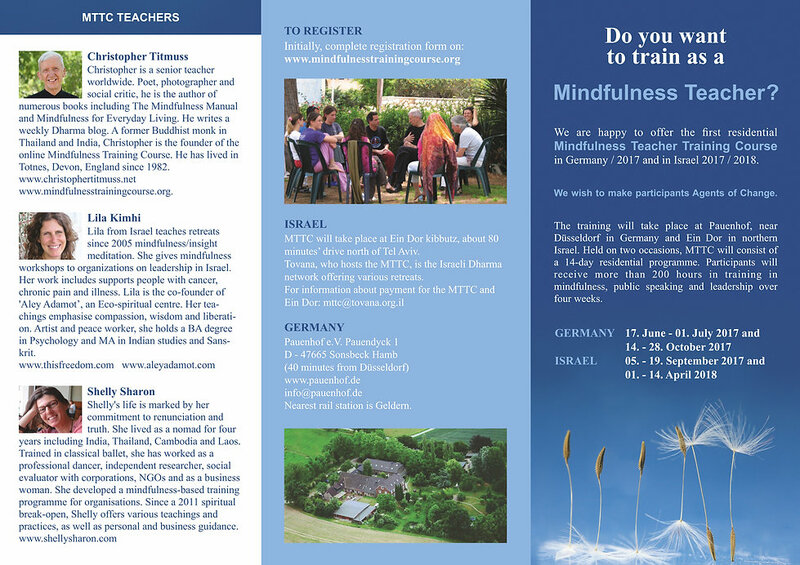 We are happy to offer the first residential Mindfulness Teacher Training Course (MTTC) in 2017 in Germany and 2017/2018 in Israel. The training will take place at Pauenhof, near Düsseldorf in Germany from 17th June, 2017 – 1st July 2017 and from 14th October, 2017 – 28th October 2017. The training will also take place at Ein-dor, a quiet kibbutz in northern Israel, from the 5th September 2017 to 19th September 2014 and from 1st April – 14th April, 2018. We wish to make participants Agents of Change. Participants will receive training in mindfulness methods, speaking to groups and leadership using a secular language. Teachings and practices of mindfulness have found their way into the public and private sector including businesses, education, hospitals, clinics and prisons with regular classes in villages, towns and cities. You can teach mindfulness as the primary resource for teaching or as an additional resource for working with others.